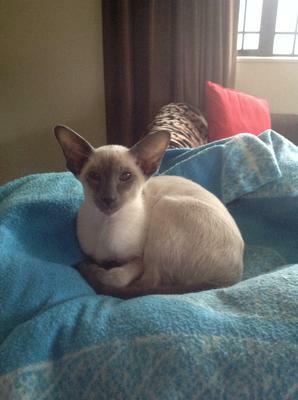 Scallywaggs Siamese & Orientals is based in Palmerston North, New Zealand. 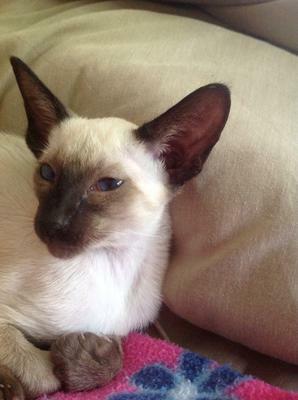 We started breeding Siamese in 1997 and then included Orientals. We are not a large cattery - we breed modern beautiful babies who are raised in our home (the girls sleep in and on our bed! Since gaining Solo from Scallywaggs it's too difficult to describe how much this boy has contributed to our family's lives. So much so that when our son moved away after buying his own house, he found he missed Solo so much that he had to get two lovely Scallywaggs for himself. Solo is amazing, stunningly handsome and so inquisitive. My life is so enriched by this fella that I can't wait to get home from work to get down on the floor and play his games. His manners are impeccable and my wife says he and I snore in stereo. Our son's pair of Scallywaggs are stunningly beautiful and very affectionate as well - like Solo, impeccable manners and just so well behaved. We really love these three Scallywaggs! 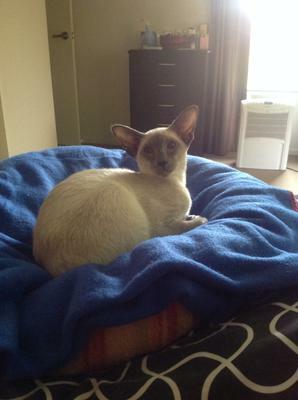 Love the photos of your Siamese! Do you by chance breed cinnamons or fawns or carriers of these genes? I am looking for a new stud and female outcrosses for my fawn male and female.